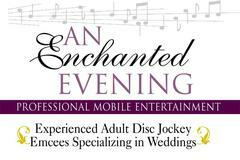 An Enchanted Evening is a professional mobile entertainment company specializing in Wedding Receptions. Over 95% of our events each year are Weddings which means we offer you the highest level of service on your special day. We repeatedly exceed our customer’s expectations by maintaining a level of service above and beyond other entertainment companies. 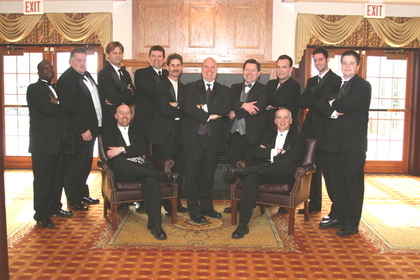 Our staff of experienced adult disc jockey emcees will give you the personal attention and professionalism you expect and deserve. Awesome Job, very easy going and professional! Filled all of our request and kept the party going all night long! A little hiccup in getting the DJ preview CD to us. Lots of cheesy DJ, to be sure. We chose Dave Apman, and he was GREAT. Very fun to work with, very classy (we were at a nice golf club), but still kept people having fun. Dave in particular is a great alternative to a live band at a classy venue. Great and professional! Knew exactly what music to play to keep everyone on the dance floor ALL NIGHT! 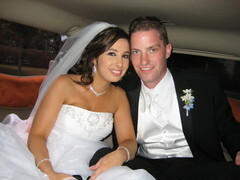 very professional office, great packages, dj was very friendly & played everything on our list!! We met this DJ at a bridal expo and he was very friendly, even giving us pointers for our reception venue. The entire staff was very friendly and helpful. The selection of music was great and the DJ at our event didn't spend the night talking or trying to force dancing but played great music that people couldn't help but enjoy. DJ was great to work with and kept everyone on the dance floor. Pricing was fair and they did not have huge signs advertising their services...like some of the others we interviewed. 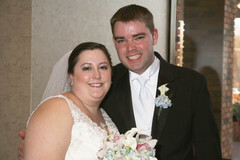 An Enchanted Evening did a great job for both our ceremony and reception. Scott was our DJ, and he had people dancing all night, the dance floor was never empty! They Were Awesome!!! One of our few vendors that made things easier. They really have their act together and at a great rate. Loved these guys...very easy to work with and the dj did an awesome job. Mike was an awesome DJ and ran the timeline of events smoothly in coordination with the banquet staff. I didn't have to worry about anything and everyone was dancing. Guests were pumped up and there was a good variety of music. 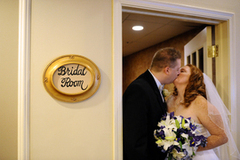 From the moment that we saw them at a Bridal Show we knew we just had to have them. Scott helped us through the whole wedding process. And our DJ's were great! They kept playing until we told them to stop! The price was great! And just great people all around! Well organized. Our DJ was great fit for us and our guests!